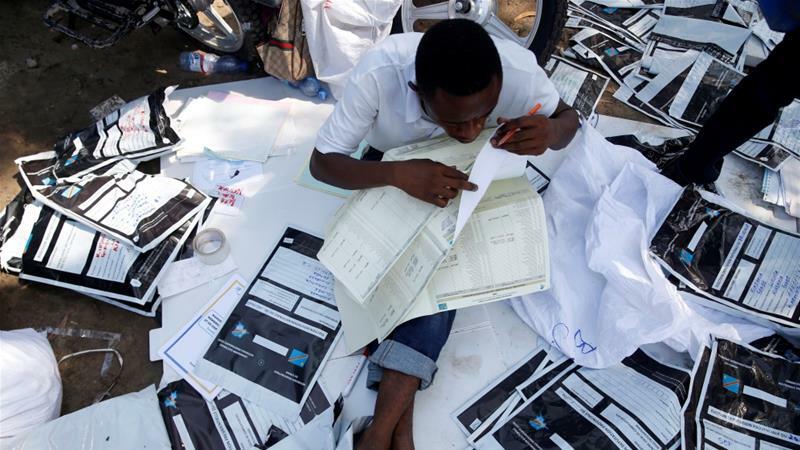 KINSHASHA – The electoral commission of the Democratic Republic of Congo has announced that Provisional results from the long-delayed presidential election in the country could be pushed back past Sunday’s deadline as ballots trickle in and tensions prevail over the vote count. Vital Kamerhe, a spokesperson for Felix Tshisekedi, one of the opposition candidates, says he doesn’t mind when the results are to be published as long as they are an honest reflection of the vote. These elections will determine the successor of President Joseph Kabila who has ruled Congo for nearly 18 years as he refused to step down after his two-term constitutional limit ended in 2016. However Pre-election polling showed Kabila’s preferred candidate, Ex-interior minister Emmanuel Ramazani Shadary, trailing the main opposition candidates, Martin Fayulu and Tshisekedi, but both sides say they expect to win.